Standrise Earth Circle/Enclosure, near Carleton-in-Craven. OS grid reference: SD 9418 4846. 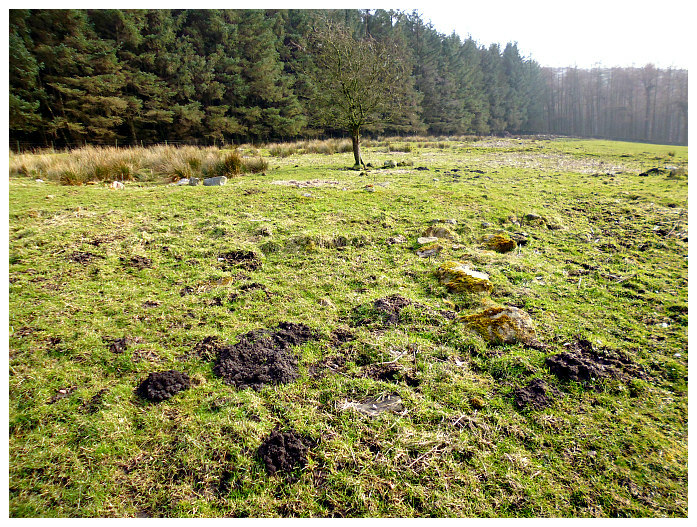 Standrise Earth Circle is located above Elslack Reservoir at the north-west side of Standrise Plantation, some 2 miles south-west of Carleton-in-Craven, north Yorkshire, there is a large Iron-Age earth circle or enclosure. This quite well-defined earthwork stands upon Elslack Moor. And 160m to the north-west another, smaller enclosure is visible. The site can be reached from the country lane between Colne and Carleton-in-Craven, turning left just after the plantation onto Moor Lane, and just after the track to Mitton House go through the gate on the opposite side of the lane, then via left up the steep hill following the edge of the plantation until you reach a flat area of land, where directly in front of you is the ancient earth circle/enclosure. You can also reach it by heading east out of Elslack and coming up by way of Mill Fold. Standrise Earth Circle / Enclosure, near Moor Lane. The earthwork is almost a perfect circle – but how did our ancient ancestors do that? It measures 34m across and 35m vertically (38 yards x 39 yards) and has an outer bank made of soil and stones, many of these stones being small boulders; the circular, raised bank is over 1 foot high in places and is quite a substantial construction. The stones that are scattered about the circle are the remnants of a wall that once traversed the eastern side of the earthwork. Near the centre of the circle are traces of a raised area, which could well have been a hearth. And there is a solitary tree near the middle of the circle! Could this ancient enclosure have been a Brigantian settlement that was in use prior to the Roman Conquest? Maybe it was the residence of a chieftain? A couple of miles to the west we have the earthworks of ‘Burwen Castle’ Roman fort at Elslack, which was built in 80 AD, at a time when the Brigantes tribe held sway over the area, though this would soon turn in favour of Rome. This perhaps also saw the final abandonment or destruction of these Iron Age settlements. Standrise Earth Circle (outer bank). 160m to the north-west near the crest of the hill at (OS grid ref: SD 9406 4861) there is a smaller circular enclosure, but very similar in construction to the other. This small circle measures approx. 14m x 15m. 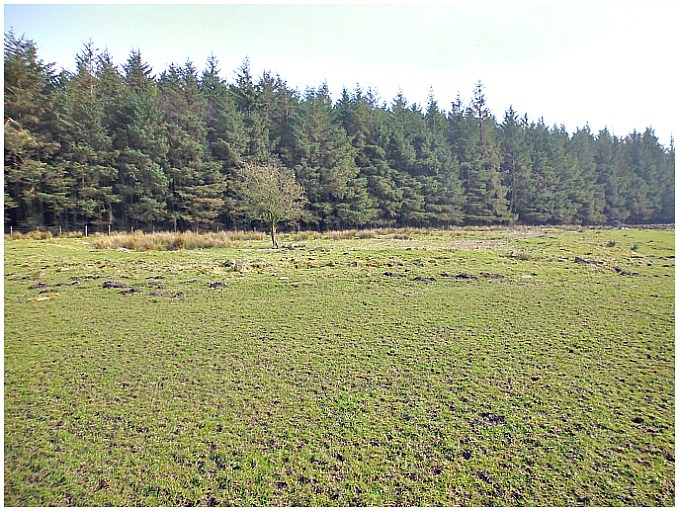 There is another earthwork or enclosure about 1 mile to the north-east at Higher Scarcliff, near Carleton Lane Head, and there is a possible cairn circle on the moor, above Rushbank farm, ½ a mile to the south-west of that. There are many other ancient enclosures and earthworks scattered around the Carleton, Lothersdale and Skipton areas, but too many to mention here. The late John Dixon in his excellent book ‘Journeys Through Brigantia’, Vol 1, says that: Moor Lane which runs along the north-east side of Standrise Plantation over to Street Head farm, near Lothersdale, was probably a “minor” Roman road linking Keighley to Burwen Castle Roman fort at Elslack, which he calls Margery 721 or the M721! Dixon, John & Philip., Journeys Through Brigantia, Volume 1, Walks in Craven, Airedale and Wharfedale, Aussteiger Publications, Barnoldswick, 1990. 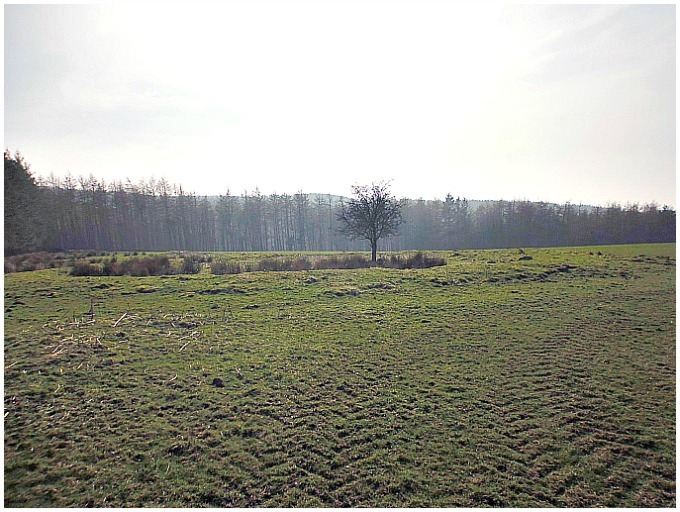 Categories: Earthworks, Settlements / Enclosures | Tags: Standrise Earth Circle near Carleton-in-Craven North Yorkshire | Permalink.